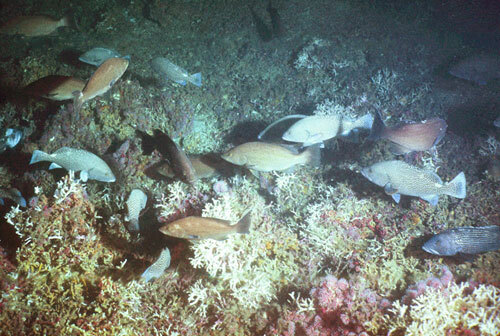 Deep-sea bottom trawling is one of the main reasons the coalition came together. It is the most common type of deep sea fishing - an estimated 80% of the high seas deep-sea catch is taken through bottom trawling. And deep-sea bottom trawling is very bad for the marine environment. It’s so destructive that over 1,000 scientists from around the world signed a petition to ban it back in 2004. 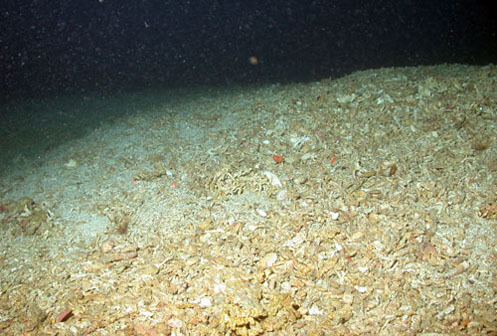 Why is deep-sea bottom trawling so destructive? Two reasons. First, you have the gear. Huge nets with weighted rollers and heavy doors are dragged across the sea floor. This method grinds away the bottom habitat and indiscriminately catches whatever falls in or leaves it crushed in its wake. To draw a better picture, one company markets what it calls 'Canyonbusters' - trawl doors that weigh up to five tons each! Second, deep-sea life is tremendously fragile. Because of the extreme conditions, ecosystem productivity is very low. This means that a deep-sea ecosystem will take decades to centuries to recover even from a single trawl sweep. Groupers were abundant on deep-sea Oculina coral reefs off Florida's Atlantic Coast before trawling began. Legal and illegal trawling has nearly eliminated the corals and large fishes in this ecosystem. Want to know more? Here’s a great video put together by Greenpeace, one of our coalition members.